Every year Canadian families are caught in unexpected bad circumstances only to find out that in most cases the banks and the credit unions are there to lend you money in the good times, not so much during the bad times. This is where thousands of families have benefited over the years from the services of a skilled mortgage broker that has access, as we do, to dozens of different lending solutions including trust companies and private lending corporations. These short-term solutions can help a family bridge the gap through business challenges, employment challenges, health challenges, etc. The key to taking on these sorts of mortgages is always in having a clear exit strategy, which in some cases may be as simple as a sale deferred to the spring market. Most times, the exit strategy involves cleaning up credit challenges, getting consistent income back in place and moving the mortgage debt back to a mainstream lender. Or as we would say in the business an ‘A-lender’. The challenge for our clients over the last few years has been the constant tinkering with lending. Guidelines by the federal government and the changes of Jan. 1, 2018 represent far more than just ‘tinkering’. This next set of changes are significant, and have effectively move the goal posts well out of reach for many clients currently in ‘B’ or private mortgages. Clients who have made strides in improving their credit or increasing their income will find that the new standards taking effect will put that A-lender mortgage just a little bit out of reach as of the New Year. There is concern that the new rules will create far more problems than they solve, especially when it seems quite clear to all involved that there are no current problems with mortgage repayment to be solved. Are you expecting to make a move to the A-Side in 2018? It just might be worth your time to pick up the phone and give us a call today, we are here to help! As was widely expected, the Bank of Canada announced another quarter-point interest rate increase this morning, saying that more hikes are ahead. According to Governor Stephen Poloz, the "big cloud" over the Canadian economy is the uncertainty associated with NAFTA and he cautioned that it would be some time before interest rates return to normal levels as some monetary stimulus remains warranted. 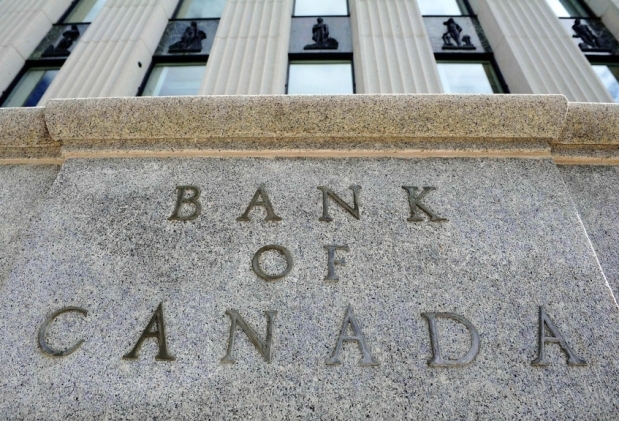 The Bank of Canada increased the target overnight interest rate to 1.25%, its highest level since the global financial crisis marking the third rate hike since July. The move comes in the wake of unexpected labour market tightening and strong business confidence and investment. The Canadian economy is bumping up against capacity constraints as the jobless rate has fallen to its lowest level in more than 40 years. Inflation is just shy of the 2.0% target level and wage rates are rising, albeit at a relatively moderate pace. Exports have been weaker than expected. NAFTA uncertainty is "weighing increasingly" on Canada's economic outlook as cross-border shifts in auto production are already beginning. Consumption and housing will slow due to higher interest rates and new mortgage guidelines. According to today's Monetary Policy Report (MPR), "growth of household credit has slowed somewhat since the first half of 2017, even though some households may have pulled forward borrowing in anticipation of the new B-20 guidelines related to mortgage underwriting from the Office of the Superintendent of Financial Institutions (OSFI). This slowing is consistent with higher borrowing costs due to the two policy rate increases in 2017." Home sales increased considerably in the fourth quarter in advance of the tightening OSFI mortgage rules implemented beginning this year. The MPR goes on to comment that "residential investment is now expected to be roughly flat over the two-year projection horizon. The rate of new household formation is anticipated to support a solid level of housing activity, particularly in the Greater Toronto Area, where the supply of new housing units has not kept pace with demand. However, interest rate increases, as well as macroprudential and other housing policy measures, are expected to weigh on growth in residential investment, since some prospective homebuyers may take on smaller mortgages or delay purchases." With higher interest rates, debt-service costs will rise, thus dampening consumption growth, particularly of durable goods, which have been a significant driver of spending in recent quarters. "Elevated levels of household debt are likely to amplify the impact of higher interest rates on consumption, since increased debt-service costs are more likely to constrain some borrowers, forcing them to moderate their expenditures." While global oil price benchmarks have risen in the past quarter or so, Canadian oil prices have been flat. Transportation constraints facing Canadian oil producers have held down the price of Western Canada Select oil, leaving it just below October levels. Canadian oil producers have trouble getting oil to the U.S. market, and with no East-West pipelines, they cannot export oil to markets outside of the U.S. This has been a long-standing negative for the Canadian economy. Markets have been expecting three rate hikes this year, taking the overnight rate to 1.75% by yearend. This level is considerably below the Bank of Canada's estimate of the so-called neutral overnight rate, which is defined as "the rate consistent with output at its potential level (approximately 1.6%) and inflation equal to the 2.0% target." For Canada, the neutral benchmark policy rate is estimated to be between 2 .5% and 3 .5%. The need for continued monetary accommodation at full capacity suggests policymakers aren’t anticipating a return to neutral anytime soon. The Bank's revised forecasts for inflation and real GDP growth are in the following table. The numbers in parentheses are from the projection in the October Monetary Policy Report. Today's MPR forecasts that inflation will edge upward while economic growth slows from the rapid 2017 pace (3.0%) to levels more consistent with long-term potential (1.7% to 1.8%). The Bank of Canada's future actions will continue to be data dependent. The next policy announcement is on March 7. Have you been approved for a mortgage and waiting for the completion date to come? Well, it is not smooth sailing until AFTER the solicitor has registered the new mortgage. Be sure to avoid these 10 things below or your approval status can risk being reversed! Any career changes can affect qualifying for a mortgage. Banks like to see a long tenure with your employer as it shows stability. When applying for a mortgage, it is not the time to become self employed! This will drastically affect how much you qualify for and also jeopardize your credit rating. Save the new car shopping until after your mortgage funds. This, as well, will affect how much you qualify for. Even if you are already approved for a mortgage, a bank or mortgage insurance company can, and in many cases do, run a new credit report before completion to confirm your financial status and debts have not changed. Banks require a three-month history of all down payment being used when purchasing a property. Any deposits outside of your employment or pension income, will need to be verified with a paper trail. If you sell a vehicle, keep a bill of sale, if you receive an income tax credit, you will be expected to provide the proof. Any unexplained deposits into your banking will be questioned. Although you may want to do someone else a favour, this debt will be 100% your responsibility when you go to apply for a mortgage. Even as a co-signor you are just as a responsible for the loan, and since it shows up on your credit report, it is a liability on your application, and therefore lowering your qualifying amount. 7. Don’t try to beef up your application, tell it how it is! Be honest on your mortgage application, your mortgage broker is trying to assist you so it is critical the information is accurate. Income details, properties owned, debts, assets and your financial past. IF you have been through a foreclosure, bankruptcy, consumer proposal, please disclose this info right away. Although this sounds like something a bank would favour, an application with less debt available to use, however credit scores actually increase the longer a card is open and in good standing. If you lower the level of your available credit, your debt to credit ratio could increase and lowering the credit score. Having the unused available credit, and cards open for a long duration with good re-payment is GOOD! So you’re getting married, have you had the financial talk yet? Your partner’s credit can affect your ability to get approved for a mortgage. If there are unexpected financial history issues with your partner’s credit, make sure to have a discussion with your mortgage broker before you start shopping for a new home. 10. Don’t forget to get a pre-approval! With all the changes in mortgage qualifying, assuming you would be approved is a HUGE mistake. There could also be unknown changes to your credit report, mortgage product or rate changes, all which influence how much you qualify for. Thinking a pre-approval from several months ago or longer is valid now, would also be a mistake. Most banks allow a pre-approval to be valid for 4 months, be sure to communicate with your mortgage broker if you need an extension on a pre-approval. There have been a lot of changes in the mortgage market over the past few months so many Canadian’s plans regarding homeownership may have shifted quite a bit from last year. First, new qualification rules came to pass in October where even though actual contract rates are sitting at about 2.79% all Canadians have to now qualify at the Bank of Canada Benchmark rate of 4.64% to prove payments can still be met when rates go up in the future. That has taken about 20% of people’s purchase power out of the equation. The second round of rules were implemented at the end of November with the government requiring banks to carry more of the cost or lending having to do with how they utilize mortgage insurance and the level of capital they have to have on reserve. This means it is more costly for banks to lend so they are passing some of that cost to Canadians. We now have a tiered rate pricing system based on whether you are “insurable” and meet new insurer requirement to qualify at 4.64% with a maximum 25-year amortization (CMHC, Genworth, Canada Guaranty are the 3 insurers in Canada) or are “uninsurable” where you may have more than 20% down but can’t qualify at the Benchmark rate or need an amortization longer than 25-years to qualify or are self-employed so can’t meet traditional income qualification requirements. Canadians who are uninsurable will be charged a premium to their rate of anywhere from 15-40bps. So your rate would go from 2.79% to 2.94% at the very least. Then in BC there was the announcement of the BC HOME Partnership Program (BCHPP) in January. We have finally had some clarification on how this works but the benefits are not as grand as the BC Government would like them to appear. The BCHPP is a tool to assist First Time Homebuyers supplement their down payment by the government matching what they have saved up to 5% of the purchase price. While this may help some clients bring more money to the table we have to factor a payment on that “loan” into the debt-servicing mix so they will actually qualify for less by way of a mortgage. They have more down payment but can not get as high a mortgage so it’s very close to a wash.
What does this all mean? Overall it is more costly and more confusing to get a mortgage today than we have seen in many years. With the complexity of the new mortgage market, now more than ever buyers need a mortgage professional with extensive knowledge to help them sort through their options. If we can be of assistance to you or someone you know, please do not hesitate to contact us. But one thing’s for sure – you should contact a mortgage broker to help you get the right mortgage product at the best available rate!